The indications for renal autotransplantation (RATx) include renal vascular trauma, thrombosis, stenosis, aneurysm, complex ureteral injuries, renal cell carcinoma, urolithiasis, retroperitoneal fibrosis, and loin pain-hematuria syndrome. Unfortunately, RATx is underutilized because of its invasiveness. The current gold standard approach to RATx is laparoscopic nephrectomy and open autotransplantation, which requires a large pelvic incision. Robotic-assisted renal autotransplantation (robotic RATx) is a new, minimally invasive approach that has been used since 2014. The first completely intracorporeal robotic RATx, used to repair a ureteral injury, was reported in 2014. Since then, only three cases have been reported, all from North America. After an initial porcine study, we conducted the fourth robotic RATx procedure. Robotic surgery has multiple advantages, such as providing a three-dimensional magnified view, navigating in narrow spaces, and fine suturing and dissection, which are particularly helpful in cases with desmoplastic changes. Most robotic RATx procedures have been used to repair ureteral injuries. These cases tend to have desmoplastic changes due to previous surgeries. Nephrectomy and RATx are technically challenging, hence robotic surgery may be the best option in patients with complex and severe desmoplastic changes. The disadvantages of robotic RATx include the length of surgery and cost. However, with continued use, both the operative time and the cost should decrease. In conclusion, robotic RATx is a new, minimally invasive approach to renal preservation. Lee J, Ordon M. Innovative applications of robotic surgery: renal allograft and autologous transplantation. F1000Res. 2016;5. https://doi.org/10.12688/f1000research.7343.1. Veeratterapillay R, Addla SK, Jelley C, Bailie J, Rix D, Bromage S, et al. 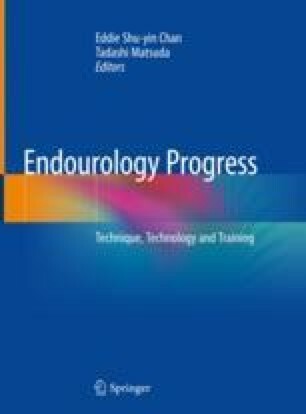 Early surgical outcomes and oncological results of robot-assisted partial nephrectomy: a multicentre study. BJU Int 2016. doi: https://doi.org/10.1111/bju.13743.